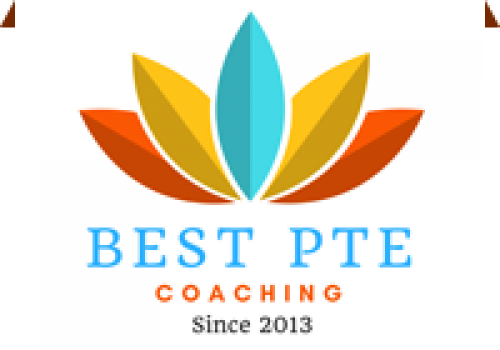 Best PTE Coaching India engaged in Exclusive PTE Academic Coaching since 2013. This article is written just to give you some basic perspective on PTE Academic test. Make sure you’ve prepared enough for the test in terms of question intelligence and also put in the adequate effort in practice. The amount of practice needed for getting 79, 65 or 58 marks in PTE varies from test taker to test taker. On the test, day reach your respective PTE Academic test center at least 30 minutes in advance. If you are going to test centre just on time can impede your performance. You don’t have to carry any stationary items like pen, pencil papers to the test center as PTE Academic is a computer-based test. For rough work, they give either an erasable notepad or booklet. You are not even allowed to carry your watch or any gadget inside testing room. The first module you’ll attempt is speaking in PTE Academic, after speaking writing and after writing, Reading and at the end, you will have the listening module in the test. The test flow is SWRL. in that 6 questions. Personal introduction is not scored item. The first scored question type is Read Aloud. Repeat sentence is the 2nd question type. Describe Image is the third question type. Re-tell lecture is fourth question type. Many test takers score straight 90s in PTE Academic speaking as it is easy and if you follow certain rules getting 90 score never a big deal. Writing is second module you get 2 question types in writing module they are Summarize Written Text and Essay Writing. These 2 questions are very important for writing and Reading score as well. Summarise written text gives you marks in Reading and Writing modules whereas the essay gives you marks only in writing. limited time. A lot of people score less than 60 marks in reading module. Your success in PTE Academic reading module is highly dependant on the clear judgment between the choice words. Using collocations can be of some help with this module. If you have good grammar sense, you will be comfortable with this module to some extent. Listening is the last skill in PTE Academic, before you move to listening you have an option to take a break of 10 minutes. If you feel you are already exhausted you can utilize the optional break or if you feel you are in the perfect state of mind to finish the test then continue without taking any break. Listening is all about dealing with 20 different short audios and answering eight varieties of questions. Summarize Spoken text is a very influential question in this section and it can come in 2-3 quantity. Remaining all questions are pretty much doable with little amount of practice and with some proven guidance. We are in to classroom and online training both. Best PTE Coaching trained hundreds of PTE academic test takers so far with high scores. We have learners from all over the world and from India. Best PTE Coaching is India´s first Exclusive Coaching centre for PTE Academic based in Hyderabad. This PTE Acacdemy is started in 2013, since its inception it has trained at least 1000+ test takers. Sandeep is a PTE Tutor with 5 years of teaching, get training under Certified PTE Trainer. Weekdays & Weekend batches, Free demo class, many number of mock tests & more!